This article is part of the “Four to Follow” series, originally published by Witness. 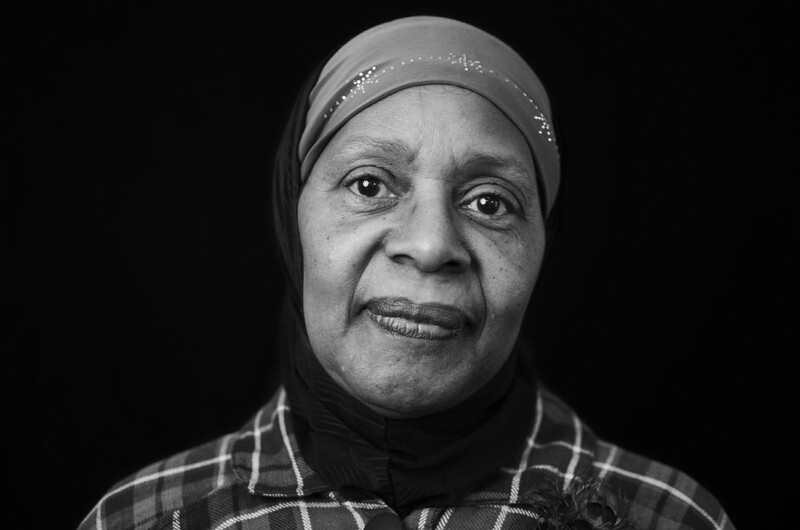 Click here to see the rest of the series on Witness. 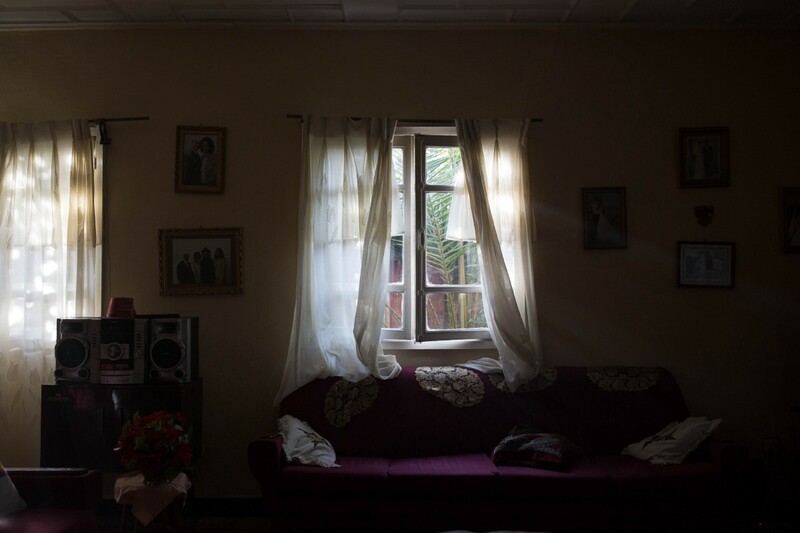 This month, we introduce the work of Fethi Sahraoui capturing youth and social landscapes in Algeria, Georgina Goodwin following an anti-poacher team in Tanzania’s wilderness, Tracy Keza exploring the intersection between anti-Blackness and Islamophobia in the U.S. and Hilina Abebe portraying the daily life of her father in Ethiopia. The coming of the heatwave is synonymous with an escapade to the sea for many Algerians, but for familial and financial reasons, not all children have the opportunity to go spend a day at the beach. 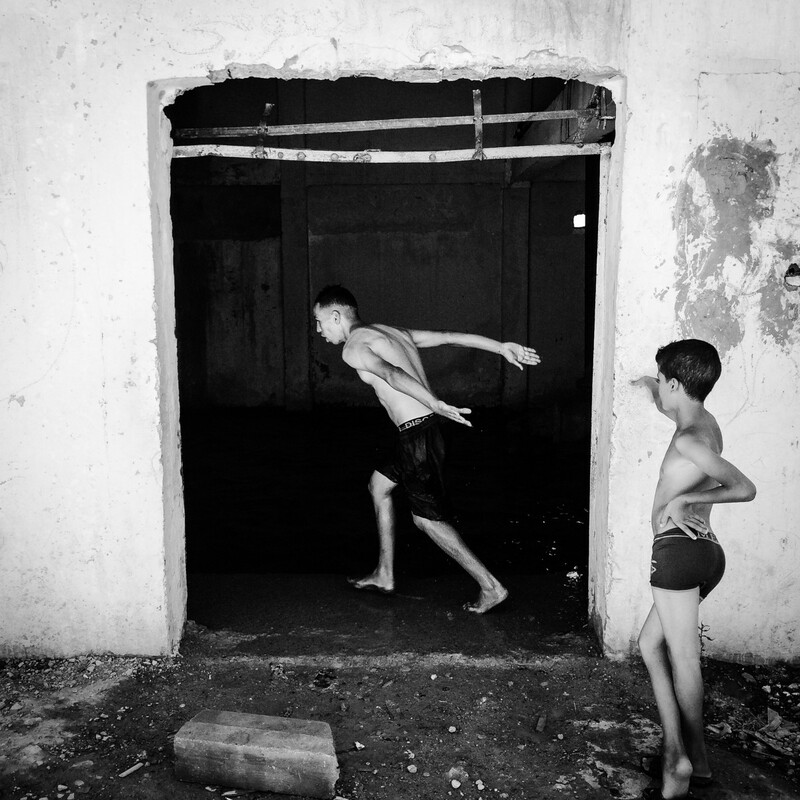 In areas like Mascara and Relizane, where temperatures approache 44°C in the summer, children escape the heatwave by going to dangerous spots like an abandoned water tower. 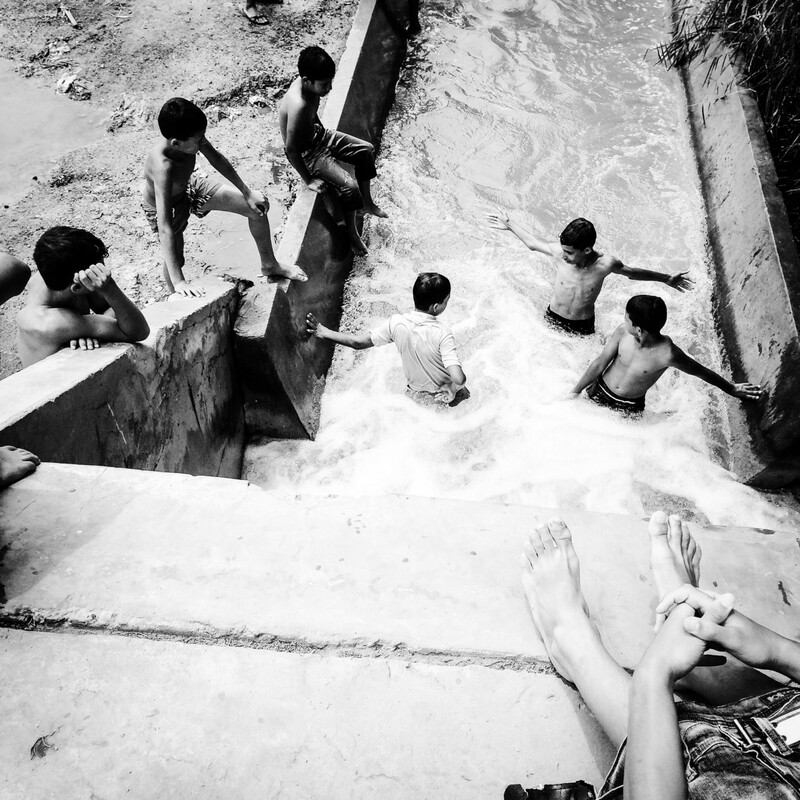 Despite the polluted water and regular injuries, you can find them swimming in large irrigation channels, exposing themselves to countless risks while away from parental supervision. 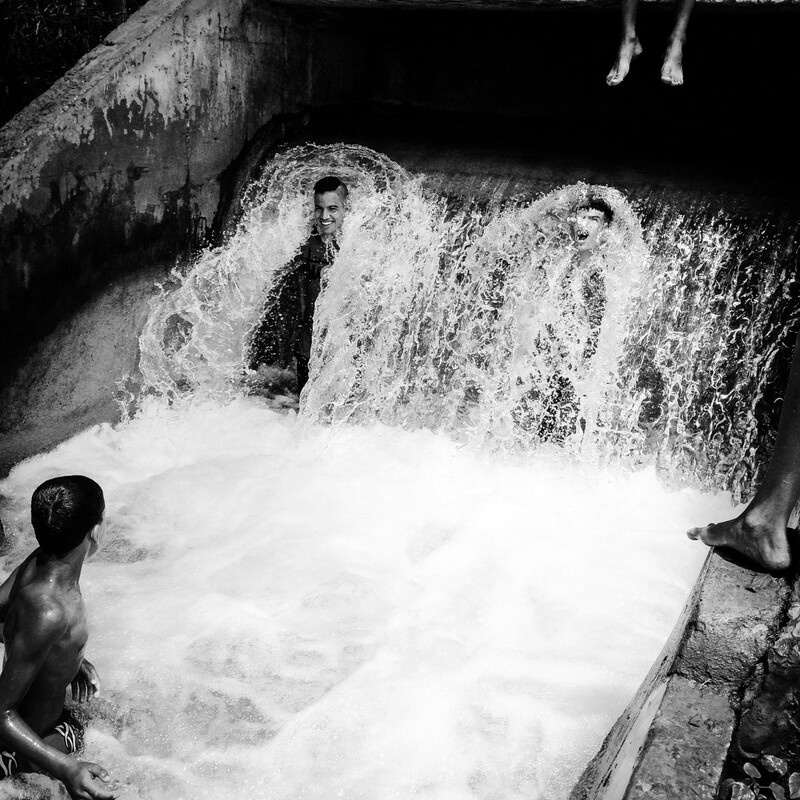 Born in 1993 in the southern town of Hassi R’mel, Fethi Sahraoui is a self-taught social documentary photographer. He is an English student currently preparing a master degree in ‘American Civilization’ at the university in his town Mascara. 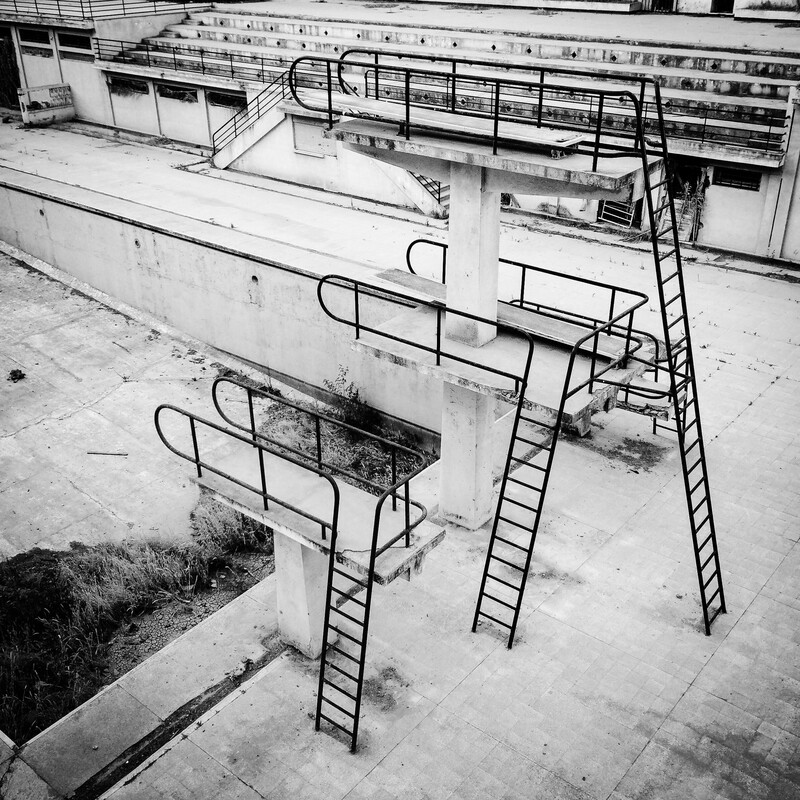 His passion for photography came from all the visual arts, but mainly cinema. 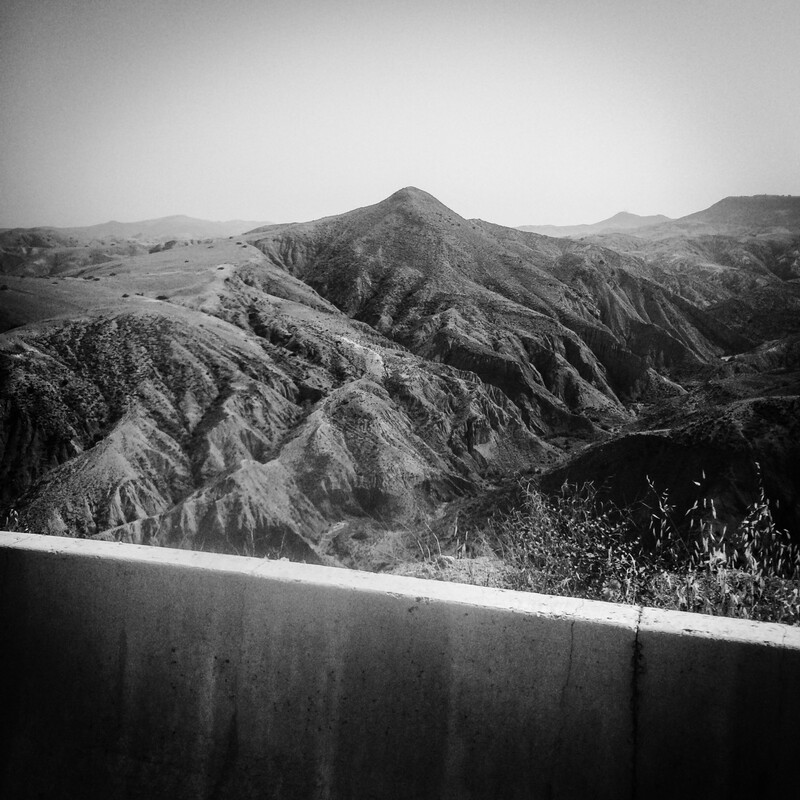 At the age of 19, he bought his first camera and started wandering and wondering. 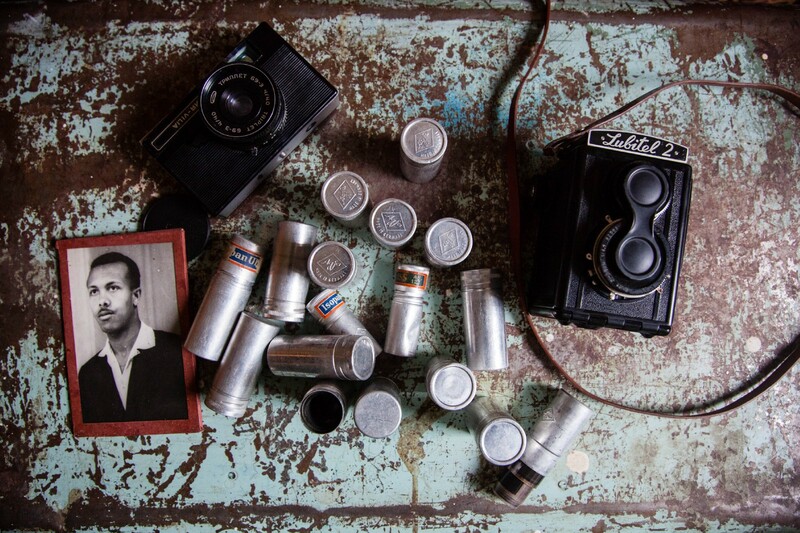 He is a member of the 220 Collective and his quest is to document Algeria. 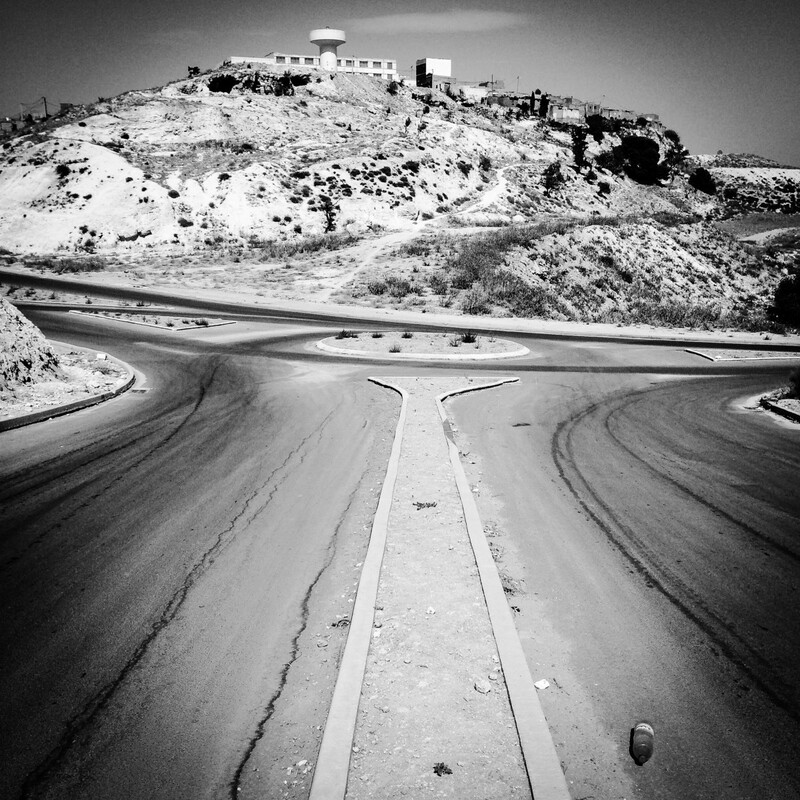 You can follow Fethi’s work on his Lens Culture pageor his Instagram account. The Friedkin Conservation Fund (FCF) is a conservation organization established in 1994 that works closely with Tanzanian authorities, such as the Wildlife Division and the Tanzanian Wildlife Research Institute (TAWIRI), on anti-poaching efforts. An average of 1,200 poachers are arrested and prosecuted every year and thousands of wire, cable snares, rifles, automatic weapons, poison arrows, elephant ivory, bush meat, animal parts and hides, illegal charcoal and hardwood planks are confiscated. 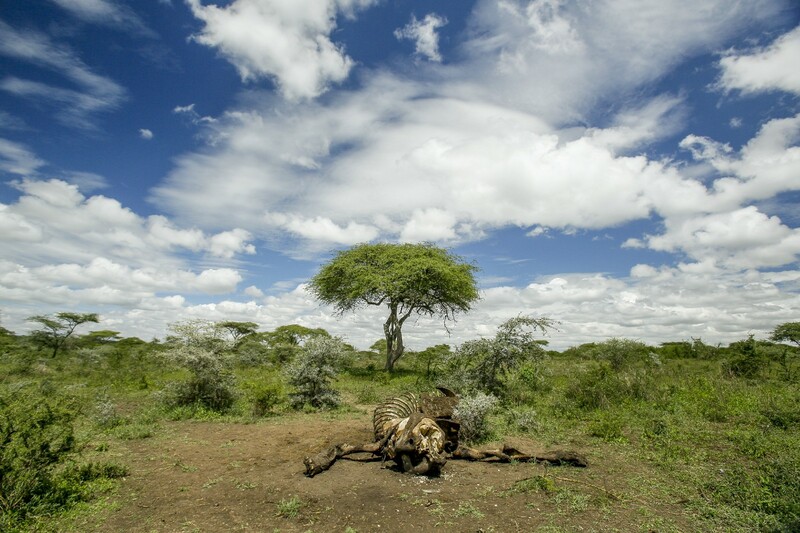 An elephant carcass in Maswa Game Reserve in northern Tanzania. The carcass was seen from the air by Friedkin Conservation Fund FCF microlight aerial surveillance, the most effective aerial platform for this kind of work. This elephant carcass is unique in the poaching story, the anti-poaching teams found ivory remaining still in its skull, unusual for seasoned ivory poachers opening the door to whether the elephant was killed by opportunistic poachers who did the job in a hurry. The teams found two bullet marks in the bones and estimate the elephant to have been killed over a month ago judging by the amount of skin remaining. operations alongside community development in more than 3.8 million hectares of land. The teams work hard to protect the environmental resources in those areas. As the human population increases, so has the pressure on resources outside the areas allocated for wildlife. As those resources get used up, protecting wildlife and their land becomes ever more difficult. Despite reliable funds, the FCF anti-poaching teams are unable to keep up with the constant threat from all sides, including those at the top who wish to destroy what is left of this global heritage. 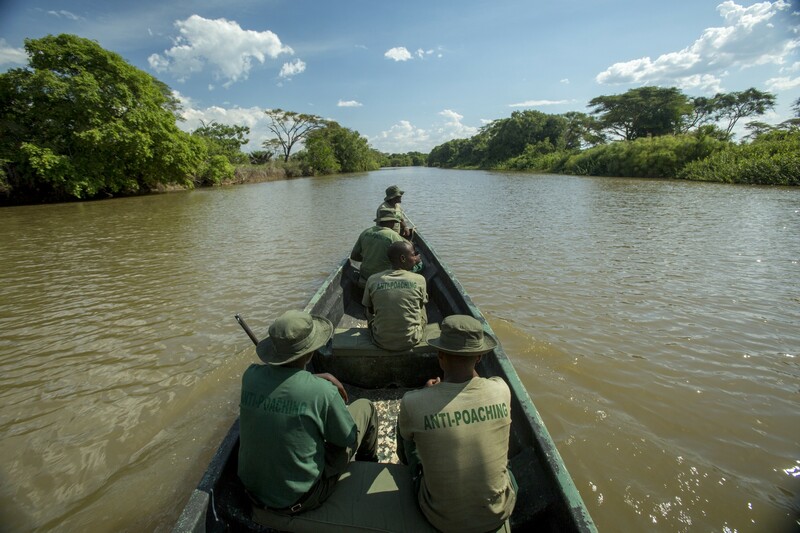 Friedkin Conservation Fund FCF anti-poaching teams patrol on the Malagarasy River that flows through the Moyowosi Game Reserve. The combined area of the Moyowosi Game Reserve and the Uvinza Open Area is 3.1 million acres, the largest combined area the FCF teams are responsible for. The habitat of these reserves varies from huge swamps to open flood plains, which adjoin large areas of Miombo forest. During their daily patrols the teams make their presence known and check on the ground for fishing and cattle permits, and any illegal activities. 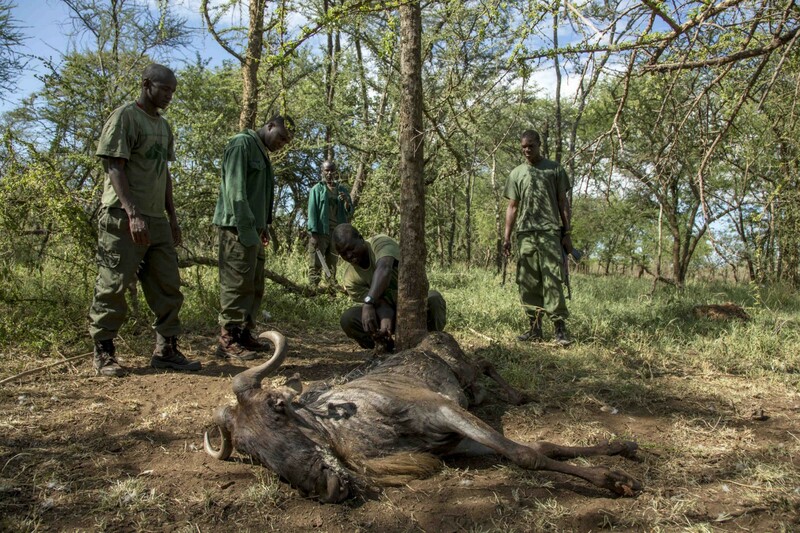 Friedkin Conservation Fund anti-poaching teams were too late to free this wildebeest from a wire snare in Maswa Game Reserve in northern Tanzania. The wildebeest had broken its own leg backwards multiple times in an effort to get free. Thousands of animals are caught every year in wire snares like these, dying horrendous painful deaths for the illegal bush meat trade. Snares are just one of the on-going challenges for the FCF teams in the battle conservation efforts inside these protected areas of Africa. 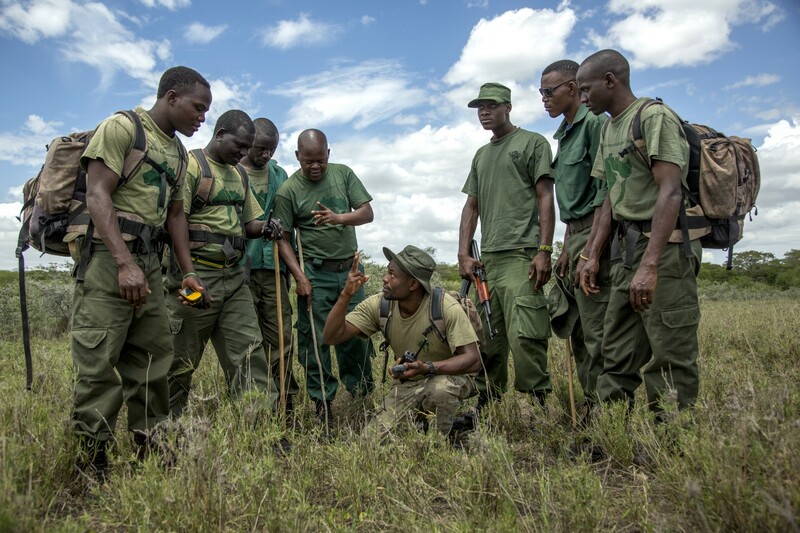 Left) Friedkin Conservation Fund FCF anti-poaching teams walk through the Moyowosi swamp in the Uvinza Open Area in west Tanzania in search of fish poacher camps they have heard are there. (Right) Friedkin Conservation Fund FCF anti-poaching teams catch and arrest a young man from the surrounding communities, confiscating the catfish he has illegally caught without a permit from deep inside the fragile Moyowosi swamp ecosystem in Uvinza Open Area in western Tanzania. 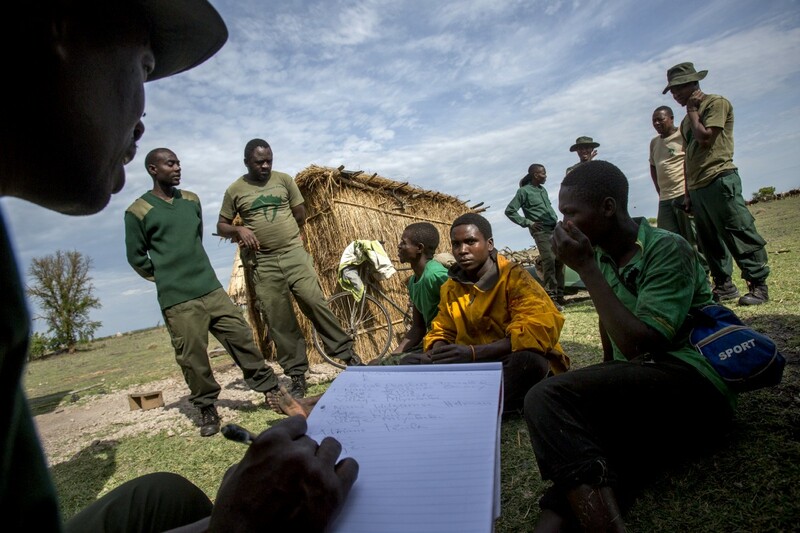 Friedkin Conservation Fund anti-poaching coordinator Boni Haule leads a GPS training in with anti-poaching teams on daily patrol in Maswa Game Reserve in northern Tanzania. These trainings are recurrent and keep the teams motivated and working together efficiently and ahead with technology in their remote bush locations. The challenges of this job are many. Every day they risk their lives to protect the wildlife and wild spaces they have been tasked with. There are the physical challenges, such as working with wild animals, difficult terrain, heat, high risk of malaria, and tsetse flies which sting like mad and leave welts all over the body. The rangers leave their families for months at a time and need to work well with a small group of men. 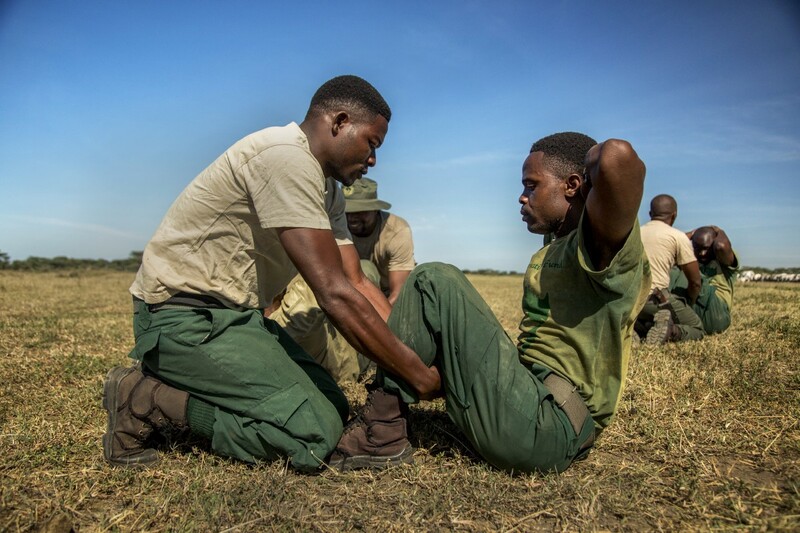 The highlights are for the men to do their job properly — catching poachers, clearing lines of snares before they’ve trapped any animals, protecting the environment from trees being cut down, being in these beautiful places and having close interactions with nature. 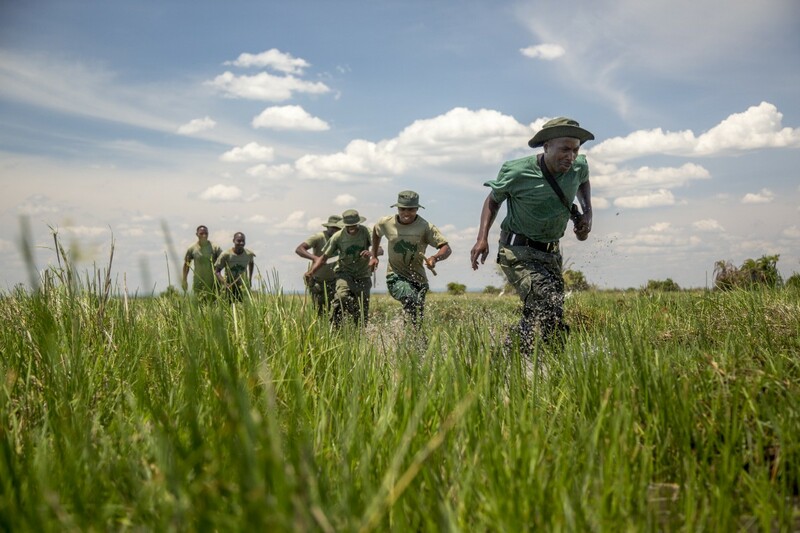 (Left) Friedkin Conservation Fund FCF anti-poaching team carry out a fitness training session along Mbono airstrip in Maswa Game Reserve in northern Tanzania. 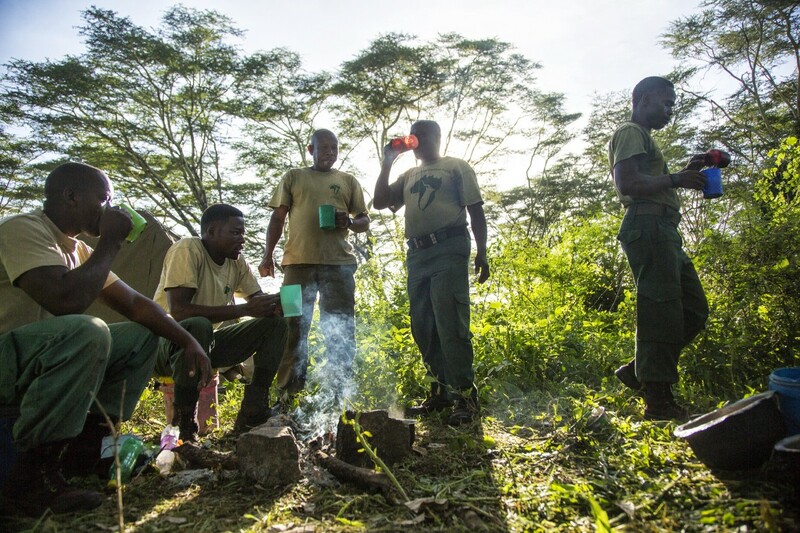 (Right) Friedkin Conservation Fund FCF anti-poaching teams make tea first thing before clearing the night patrol fly camp in Maswa Game Reserve in northern Tanzania. FCF anti-poaching teams catch and arrest men from the surrounding communities. 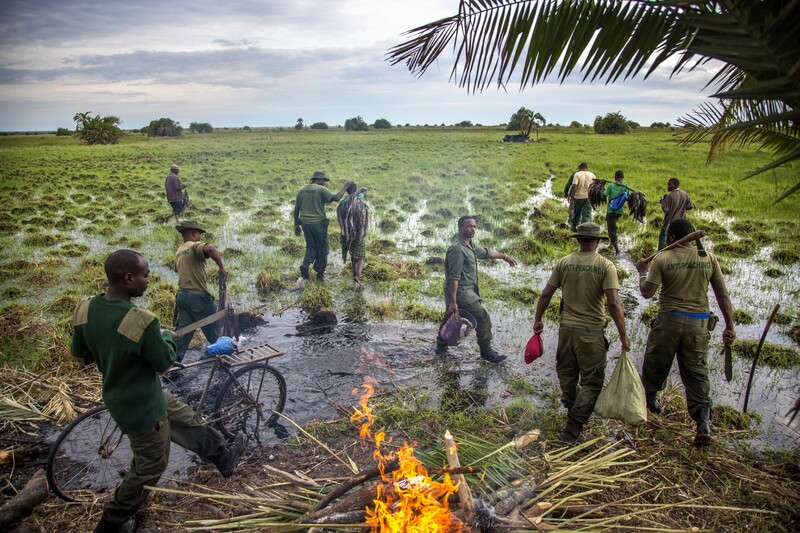 The team set fire to the poachers’ camp and confiscate the catfish they have illegally caught without a permit from deep inside the fragile Moyowosi swamp ecosystem in Uvinza Open Area in western Tanzania. 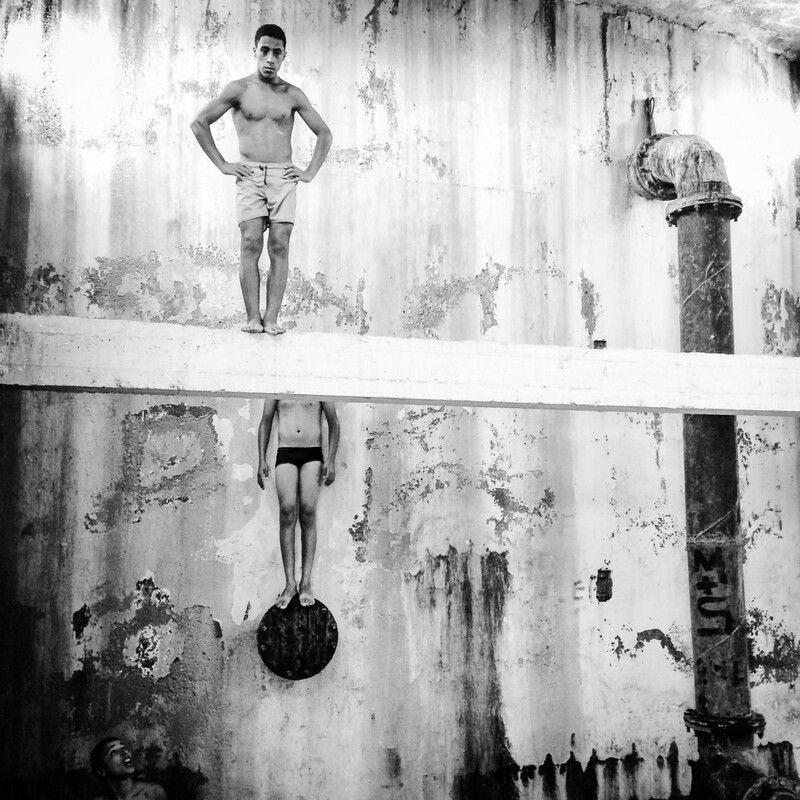 Georgina Goodwin is an African documentary photographer specializing in social and environmental issues in Africa. 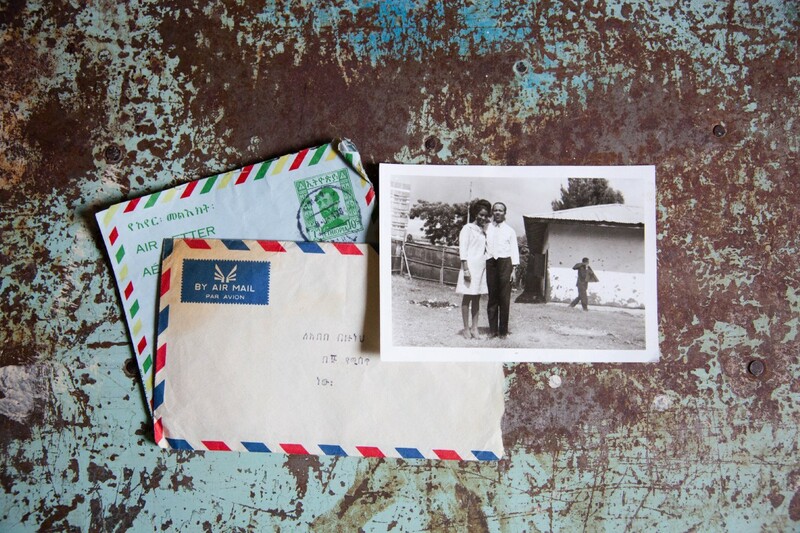 Her work documenting cancer in Kenya was nominated for the Prix Pictet 2015 Award. Georgina teaches photojournalism at the Aga Khan University and is a contributor to Getty Images, Agence France-Presse, Women Photograph and Everyday Climate Change. She has had her work published by The New York Times, Newsweek, Financial Times, among others. She was also one of 20 speakers chosen for TED Talent Search Nairobi 2017. You can follow Georgina’s work on her website, Instagram and Blink. 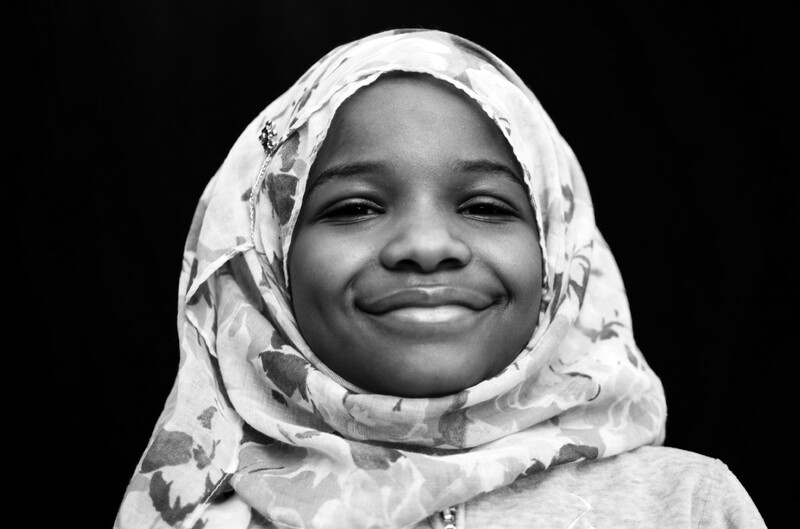 Hijabs & Hoodies is being incubated by Studio Revolt where Tracy is currently the artist-in-residence. 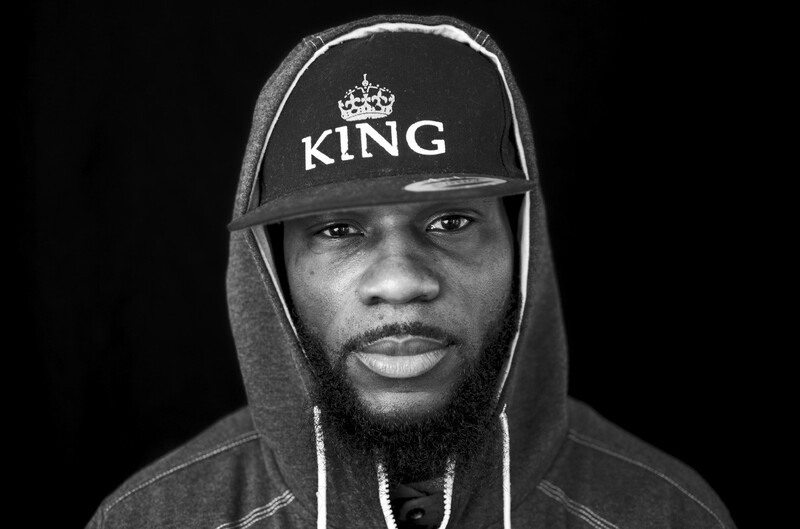 Studio Revolt is a collaborative transnational media lab known for compelling works on many of the social issues that I am addressing in my own work. 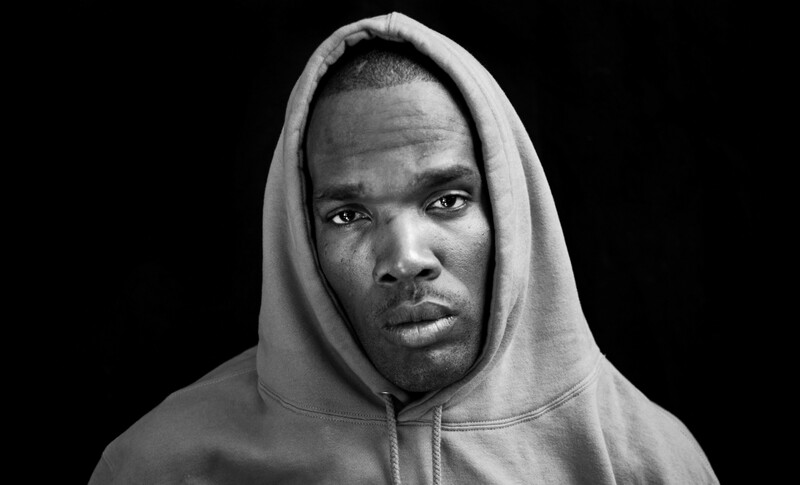 Tracy Keza is a Kenyan-born, South Africa and Rwandan-raised photographer currently based in the US. A recent Trinity College graduate, she was introduced to photography while still in college where she minored in studio art. 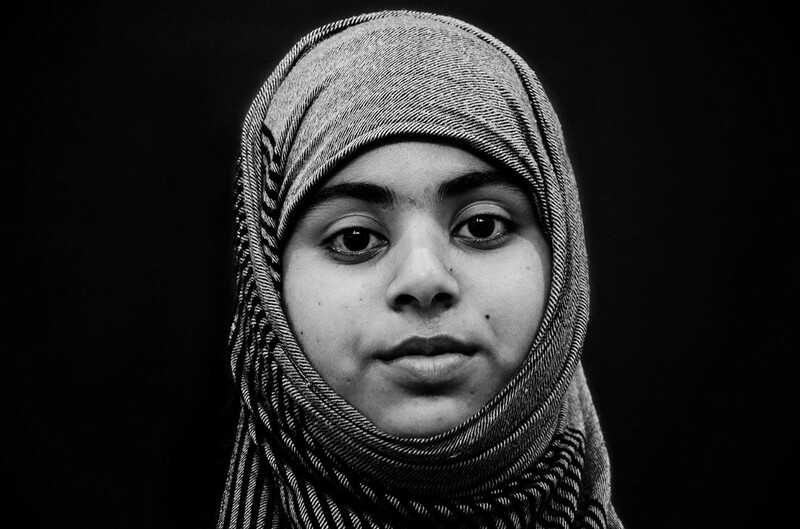 Her work is a cross between fine art and documentary photography that challenges existing stereotypes of the ‘other’. 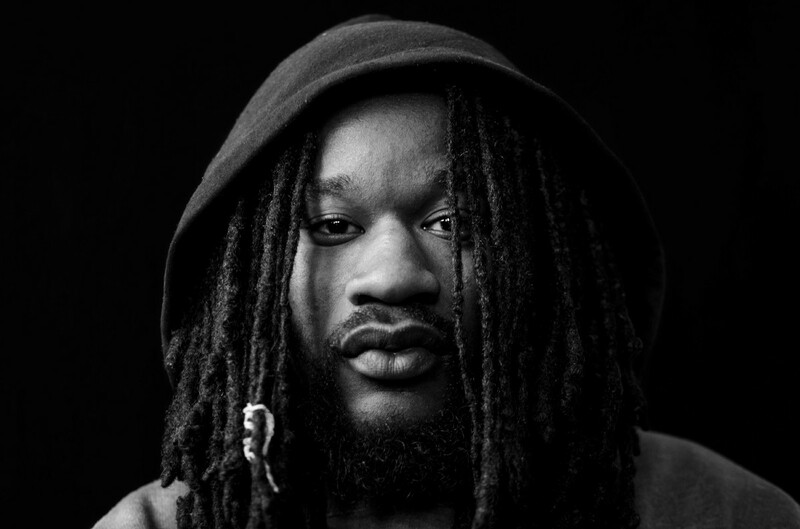 Through her work, she explores notions of identity, oppression, and expression of marginalized communities with a particular interest in societal perceptions and the treatment of Black and Brown people. 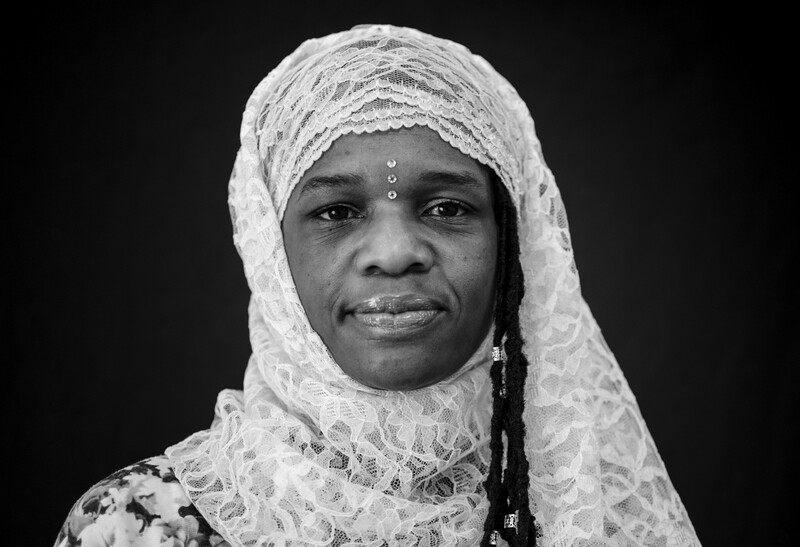 As an African woman currently living in the US, she is particularly interested in how diaspora communities understand marginalization issues through the lens of intersectionality. You can follow Tracy’s project on her website, Instagram and Blink. 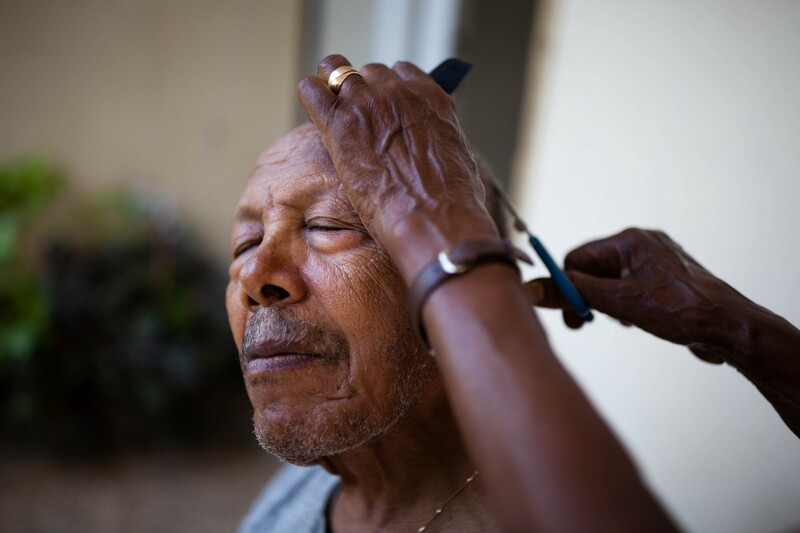 My father gets a haircut from my mom at home. A portrait of my father. 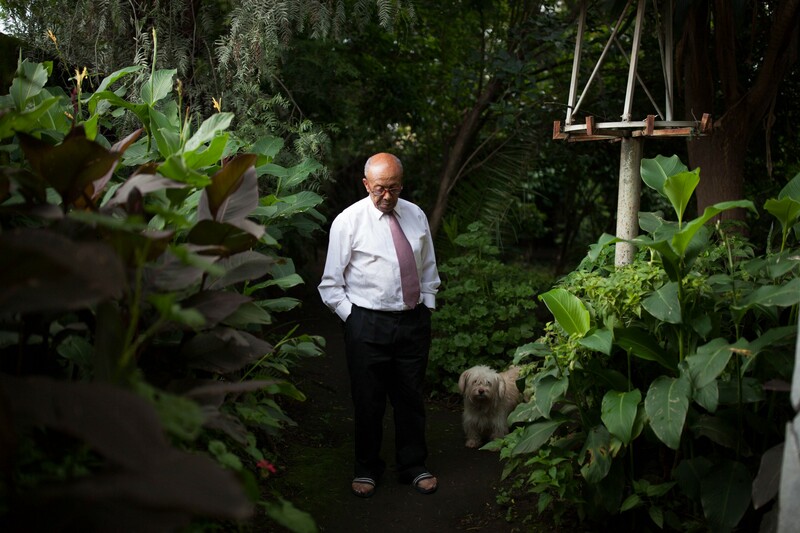 Behind him, his garage where he used to park his 1965 Volkswagen Beetle. I have always had this image of my father in my head since I was a kid. 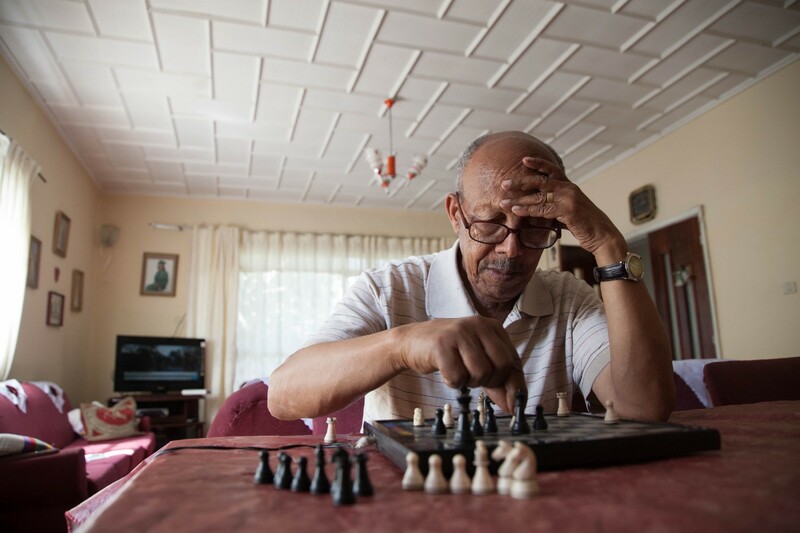 Ever since he retired, playing chess has been his way of keeping his mind at work. 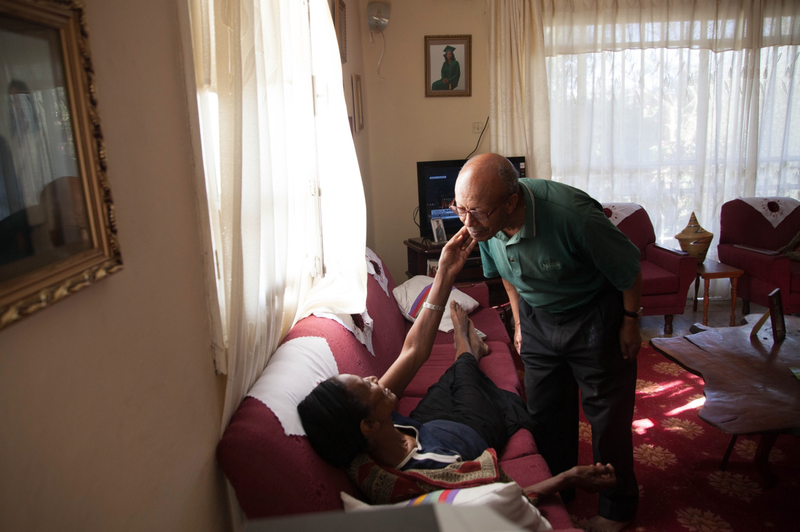 Most of my father’s days are spent with my mother in the quietness of my childhood home. My parents have been married for 47 years now. My parents did not marry until 11 years after they first met in high school. My father says my mother waited for him until he graduated from university. In between those times, he had to be away from her to pursue his studies. The only way for them to keep contact during those times was through letters they exchanged. One of my significant memories of my family begins from the black-and-white images my father documented since the ’60s that were kept stacked in a closet. 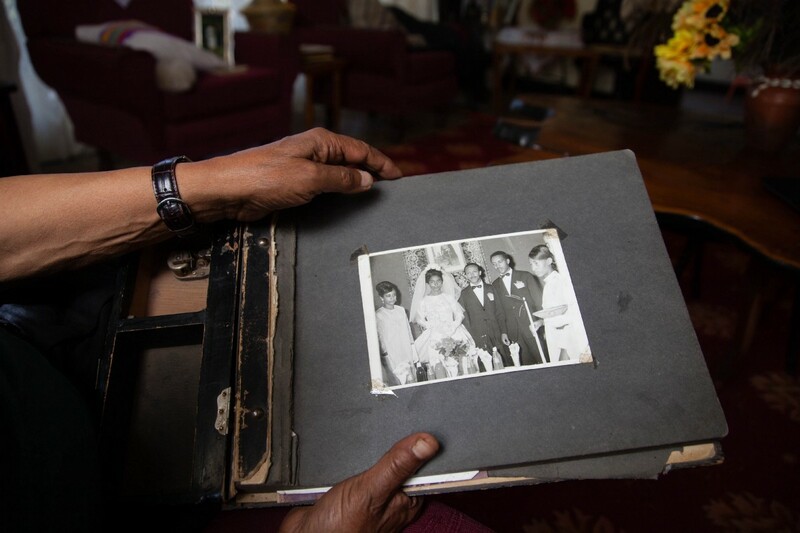 Through these images, I was able to understand what my parents and siblings looked like when they were younger. 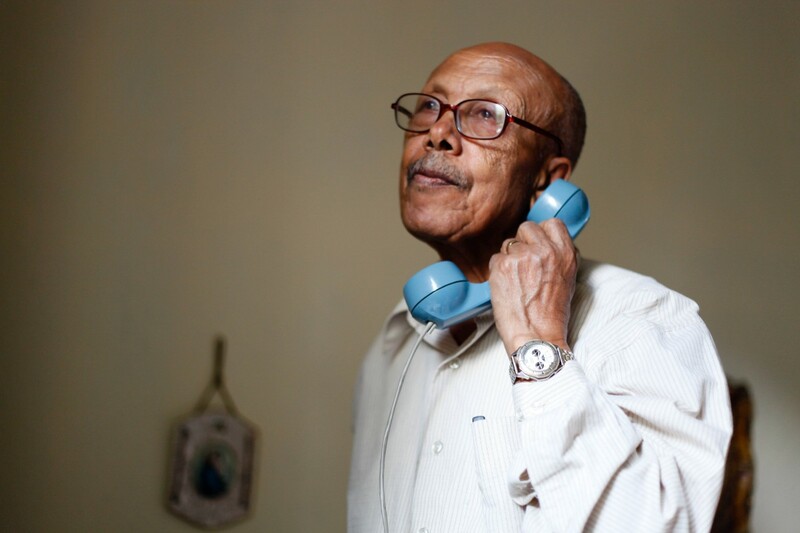 My father contemplates as he waits for his call to get through at home. 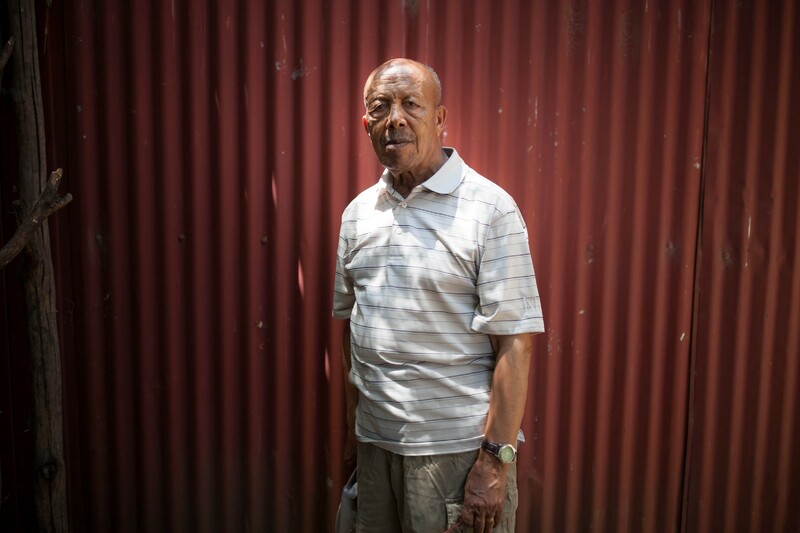 Born and raised in Ethiopia, Hilina Abebe is a self-taught documentary photographer who was influenced by her father’s black-and-white family photographs he made with his Lubitel 2 back in the 60’s and 70’s. 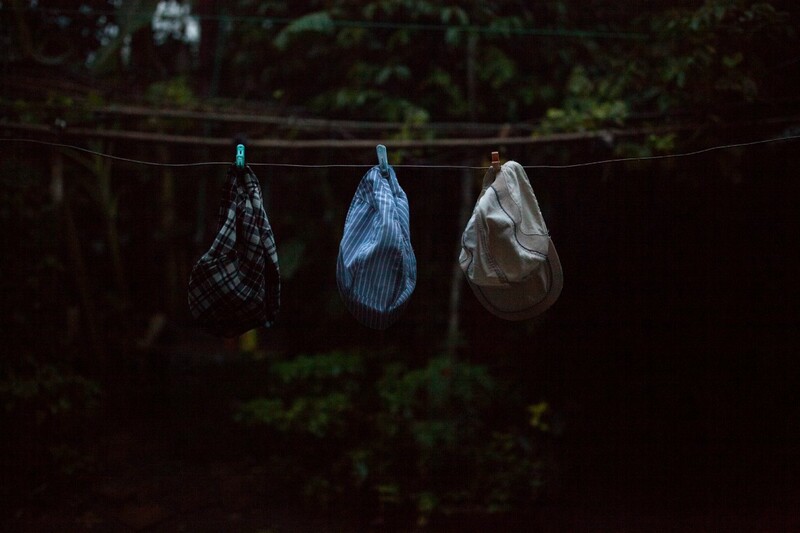 Hilina is drawn to documenting social issues which allow her to become more conscious of her environment. 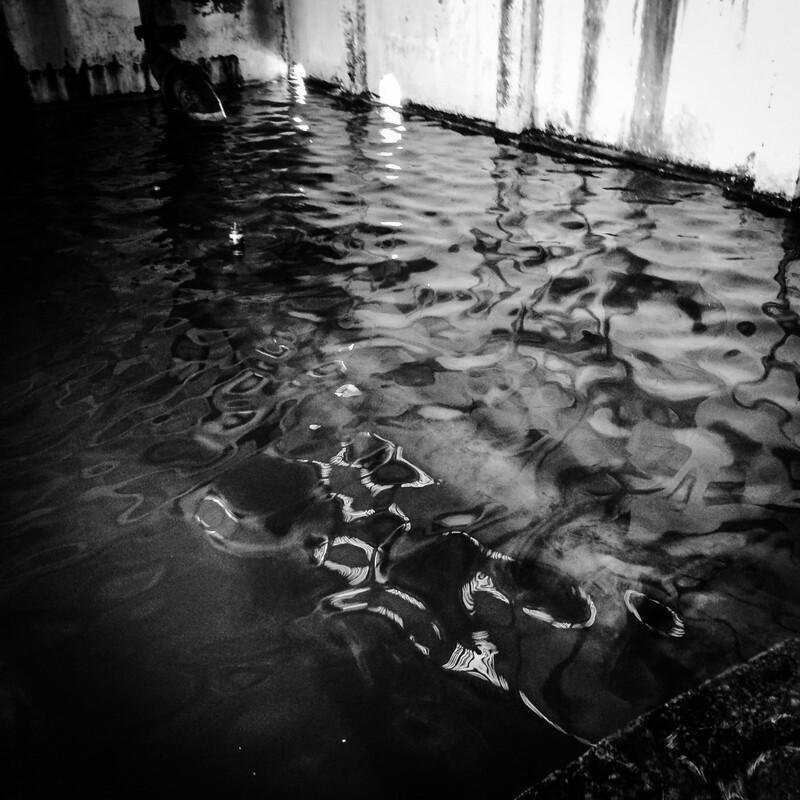 Some of her works have been featured on The New York Times Lens Blog. Hilina is an Eddie Adams Workshop XXIX alum. In 2016, she was selected for the World Press Photo East Africa Masterclass and for the New York Times Portfolio Review. She was also a nominee for the 2017 Joop Swart Masterclass. 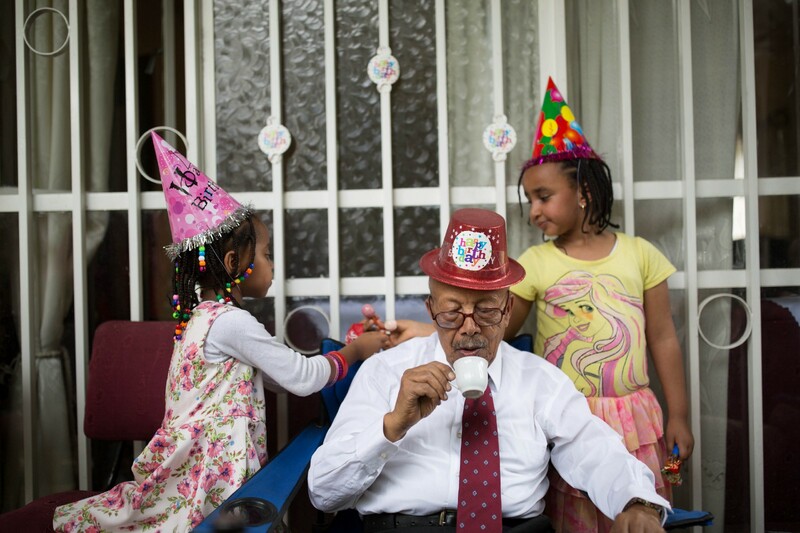 Her work has been exhibited at Photoville, Dak’Art Biennale, as well as Addis Ababa’s Addis PhotoFest. 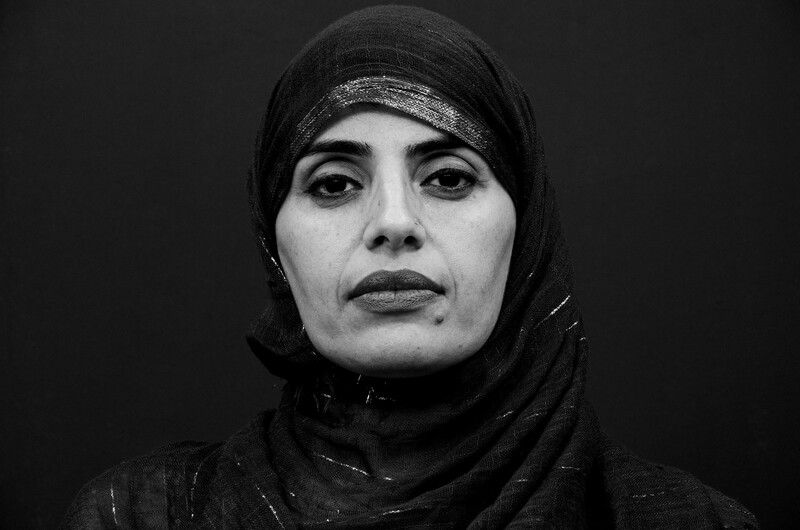 She is a member of Women Photograph, an initiative that launched in 2017 to elevate the voices of female visual journalists. You can follow Hilina’s work on her website, Instagram and Blink. 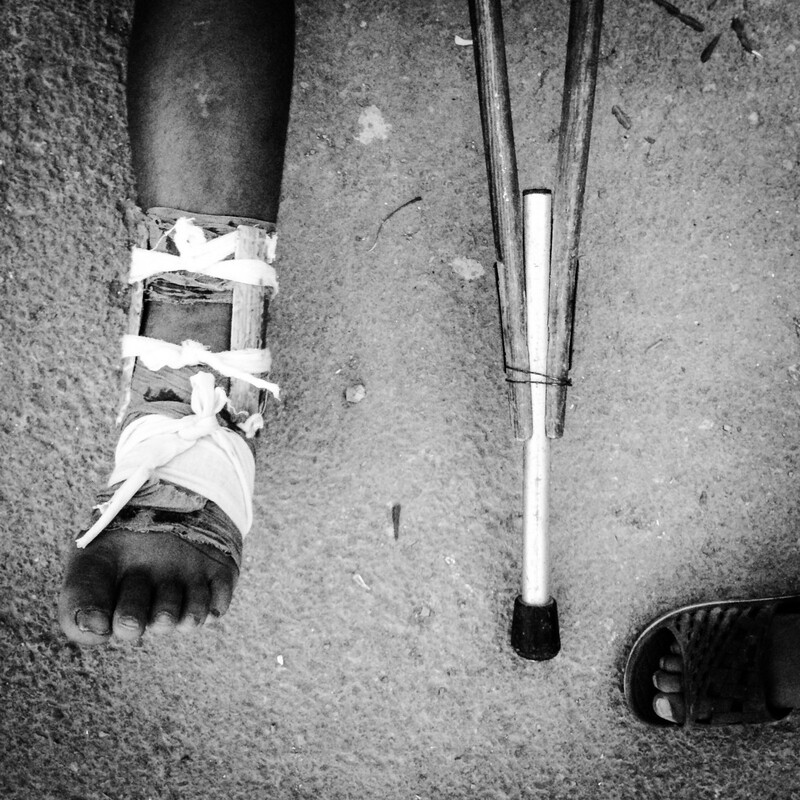 The African Photojournalism Database is a collaboration of the World Press Photo Foundation and Everyday Africa. The database identifies professional African photographers, photojournalists and documentary photographers reporting on cultural, economic, environmental, political and social issues on the continent, as well as sports, nature, and stories of everyday life. 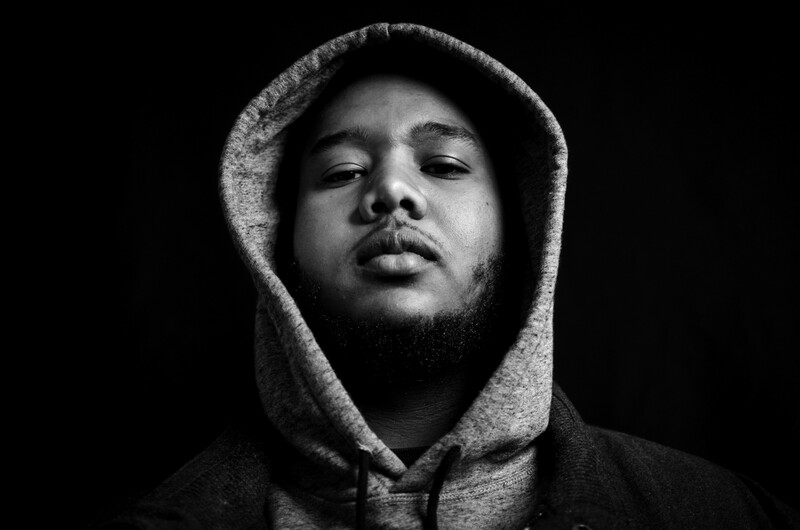 The database better connects local photographers with the global media industry and offers a more diverse representation of the African continent.